The Woodland Walks provide a living catalogue for MacPennys nursery, so even if you don’t actually want to buy plants it’s really worth a visit just to see our beautiful Woodland Walk and Gardens which are part of the National Gardens Scheme. Come and spend a delightful hour or so meandering through their 4 acres and see for yourself how the plants of your choice will look once they have been established. Why not explore our Woodland Walk and treat yourself to a cream tea in our Coffee Shop? 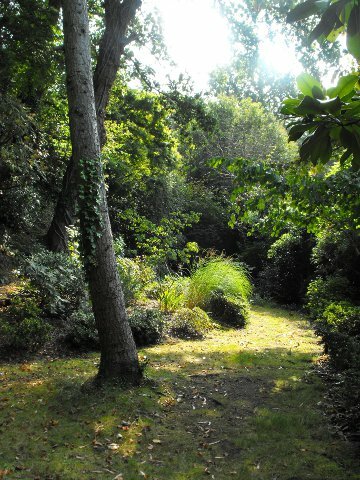 MacPennys is proud to participate in the National Gardens Scheme, all funds raised from the entry to the walks are donated to the Scheme's Charitable Trust. National Gardens Scheme is charity founded in 1927 which raises money for charitable causes by opening gardens to the public. Owners generously open their gardens to the public on specific days and money is raised from the entry fees plus the sales of teas and plants. The gardens are of all sizes, ranging from cottage gardens to National Trust properties.